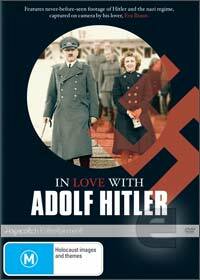 World War II was a true blight in human history and this amazing documentary shows the private life on Adolf Hitler, filmed by Eva Braun, his mistress from 1932 to 1945 and gives the viewer a unique look into their psyche. The documentary chronically puts together a variety of footage that was filmed by Eva Braun, her friends and family and to make things even more impressive, much of this footage is in colour as Hitler wanted his "secretary" to have only the best. It also features a variety of other military commanders of Hitler's Third Reich and seeing this dictator smile and almost act "human" is a chilling experience. The creators also give in-depth explanations of the life of Hitler as a child of how he was abused by his father and give theories on his strange relationship with Eva Braun. Although their relationship was never public, the close circle that Hitler had knew of this relationship and on the eve of the allies invading Germany, Hitler and Braun finally married... only to commit suicide. It is quite strange how Braun is almost oblivious to the nefarious crimes of The Third Reich, living this surreal life... believing that she would become the next Hollywood starlet and hoping that Hitler would make their relationship public. The documentary also features a great propaganda film by Frank Capra which showcases some of the allies tactics in the war which were also ironically used by the Germans. This special feature shows the Germans as a people that cannot be trusted... never... and that American soldiers should always be vigilant in this country that tried to split the world. Your Job in Germany short film - propaganda by Frank Capra (It's a Wonderful Life, Mr Smith Goes to Washington, Arsenic and Old Lace) which screened after the war in cinemas, before newsreels, and to troops to ensure they "did not befriend the Nazi's or Germans during peace time"
#: Video and audio quality were rated quite high due to the amazing quality of footage that is well over 50 years old.